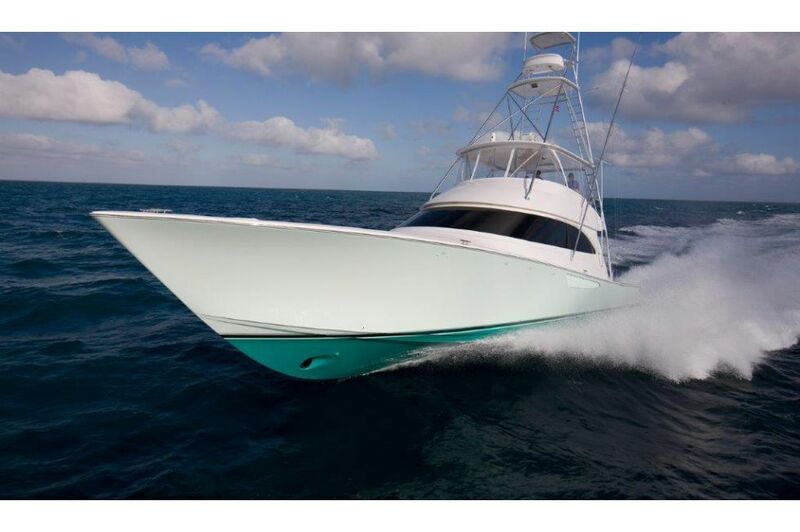 Viking has been the marine industry’s pace setter for over five decades. 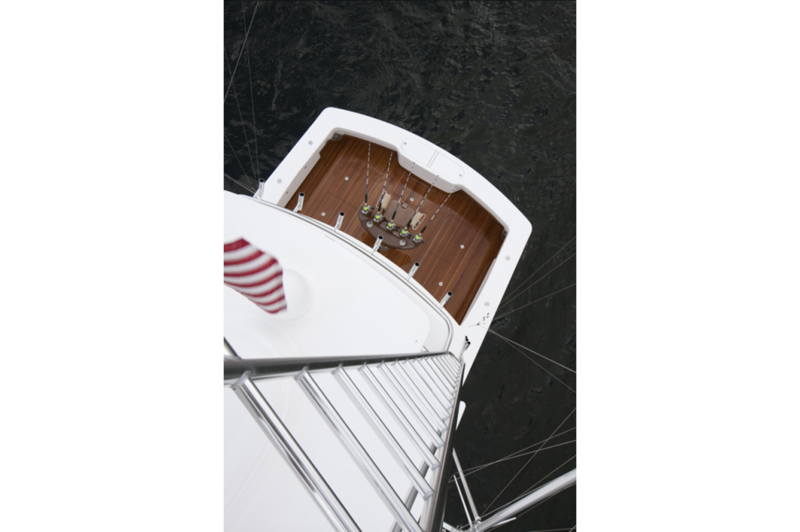 It has achieved this lofty role through hard work, innovation and dedication to excellence with its skilled and talented workforce guided by an experienced management team that has no equal in the realm of marine manufacturing. Keenly focused on today and tomorrow, looking forward and beyond is the philosophy that keeps Viking’s closest competitors bobbing far astern. 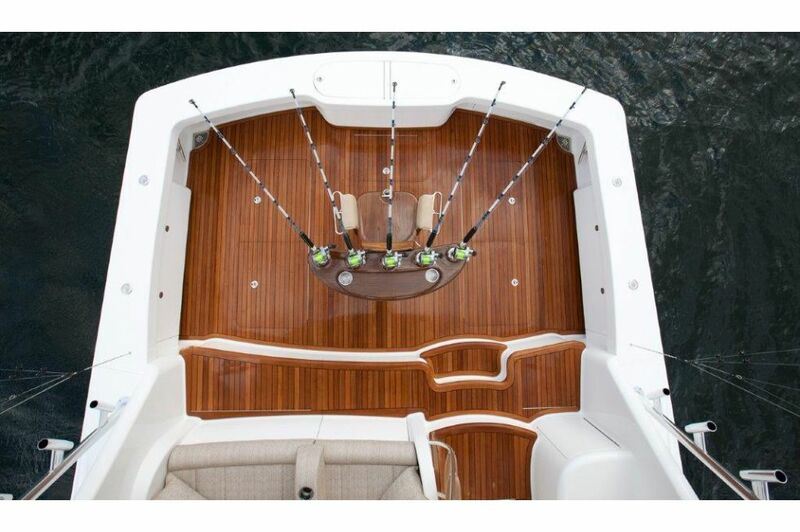 The Viking 66 Convertible is a fine example of our commitment to build a better boat everyday. 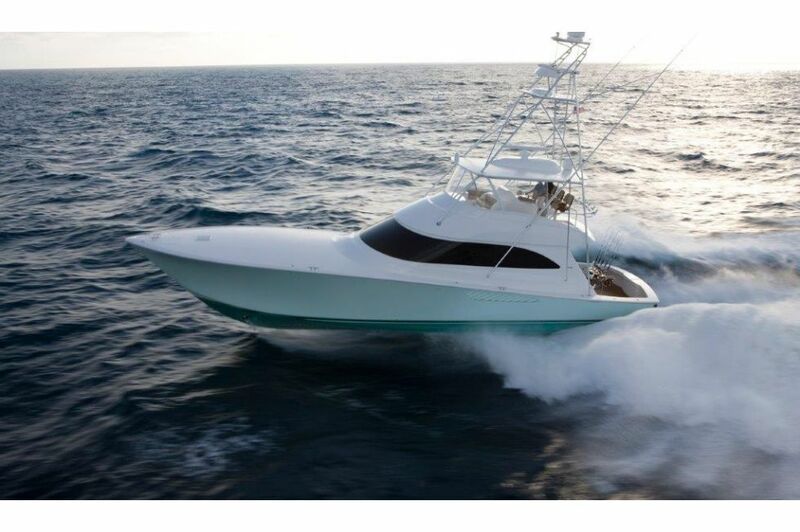 Sharing the sleek, aggressive stance of its new generation siblings, the profile of Viking 66 Convertible bespeaks power, speed and grace. 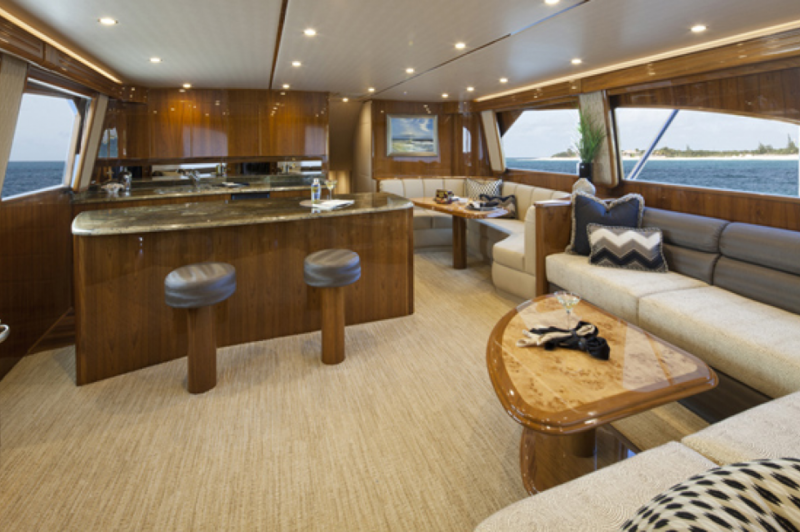 The yacht’s interior is an expansive display of hand finished teak joinery with beyond custom quality workmanship including natural veneers that reveal warmth of beauty and detail rich in opulence. 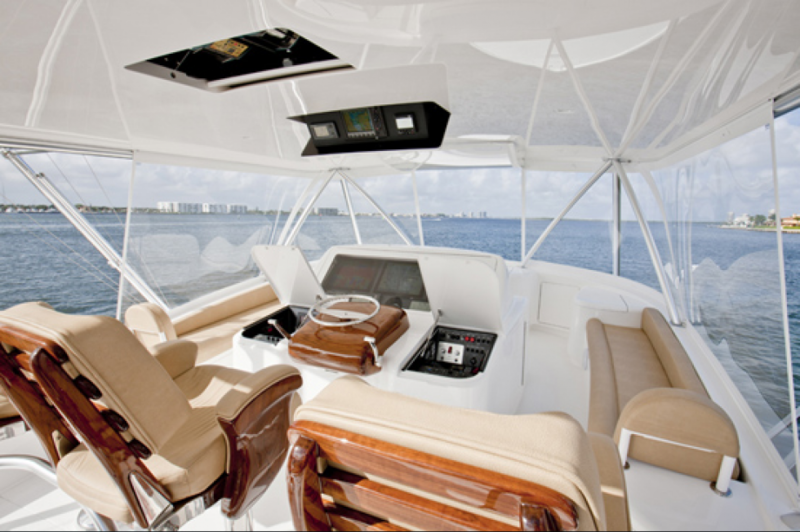 Like all Viking yachts, you can specify our sister companies Atlantic Marine Electronics and Palm Beach Towers for total customization and turnkey delivery of the 66 Convertible. 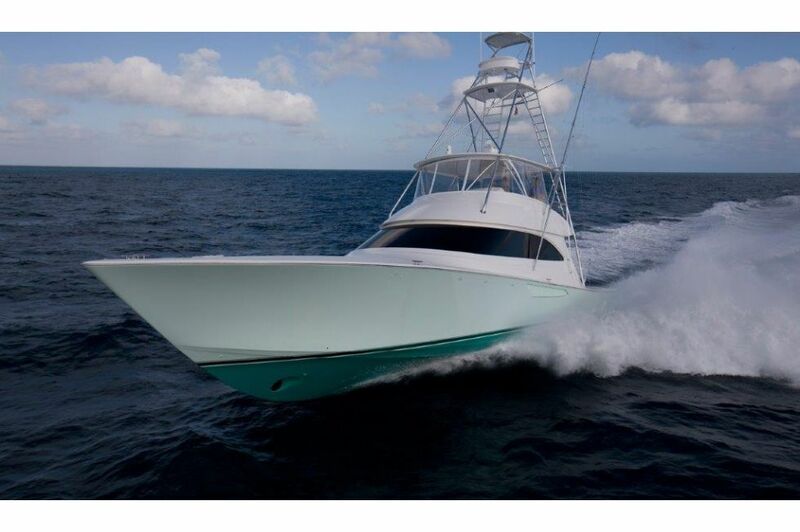 We invite you to contact your Viking dealer for more information on this exciting model. 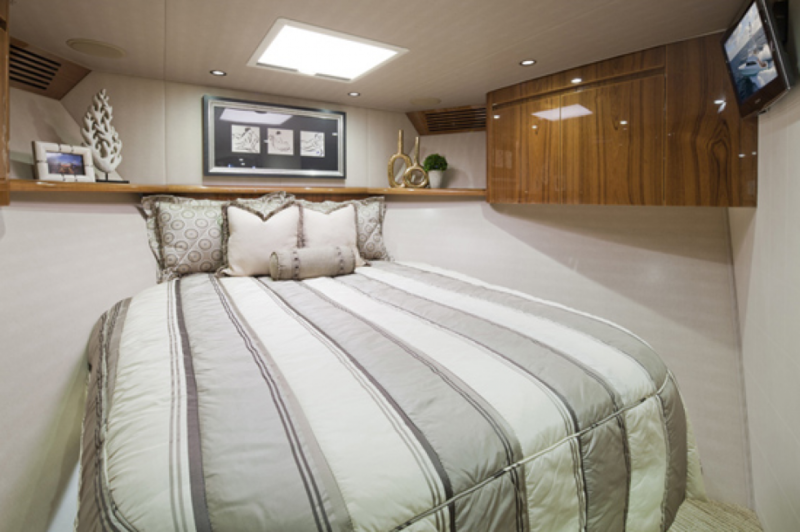 In the salon, your senses are delighted with a spacious layout that is both luxurious and practical for tournament campaign living, as well as cruising for a month at a time, or longer. Space is conveniently appropriated for dining, cooking and relaxing with generous accommodations for all. 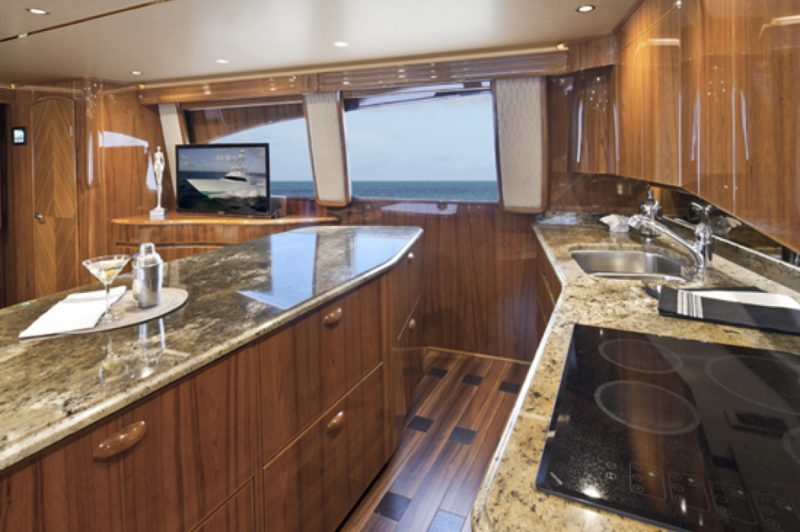 Viking benchmarks abound including a granite-topped island with 360 degree egress, bar stools and under counter refrigeration in the galley opposite a roomy dinette. 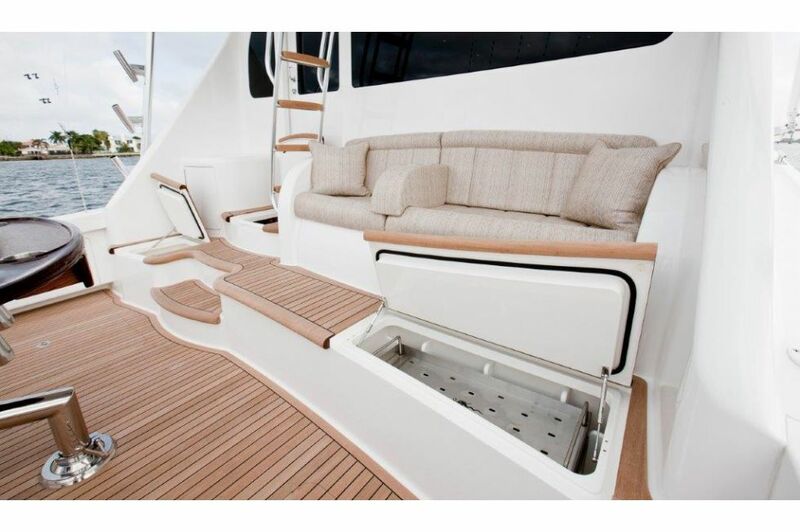 Aft, an L-shaped sofa with abundant stowage below is strategically placed to enjoy the sights and surround sound details from the 40-inch flat screen television that rises from the teak cabinetry. 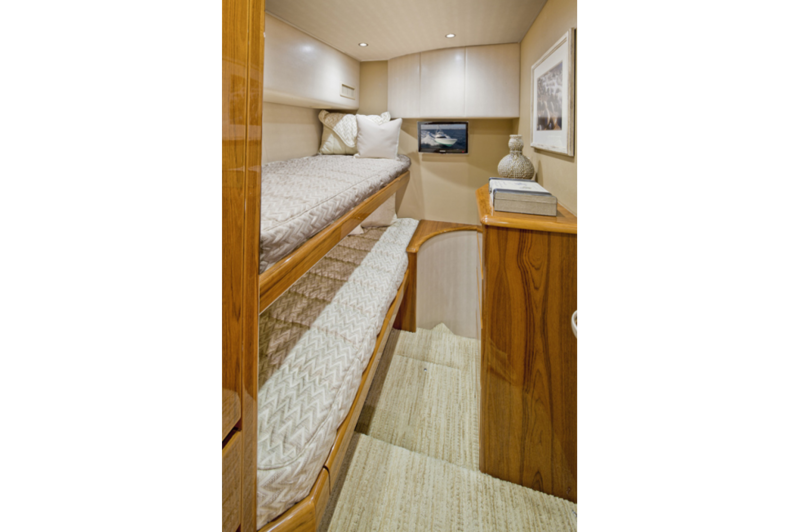 Special touches include a galley pantry forward with standing headroom, deep-pull-out drawers in the galley, and a day head aft conveniently placed immediately inside the electric opening fiberglass salon door. 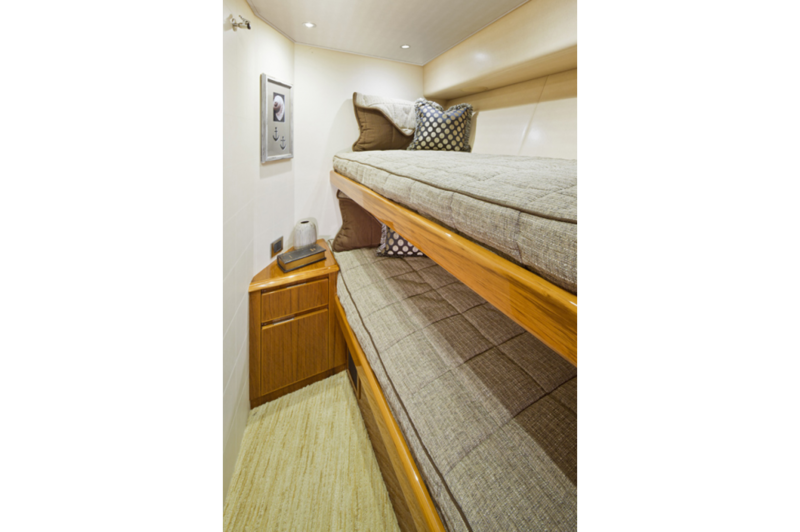 Below, four staterooms, each with its own head and fiberglass shower stall teem with restful space with large, comfortable spring mattress berths for comfort and privacy. 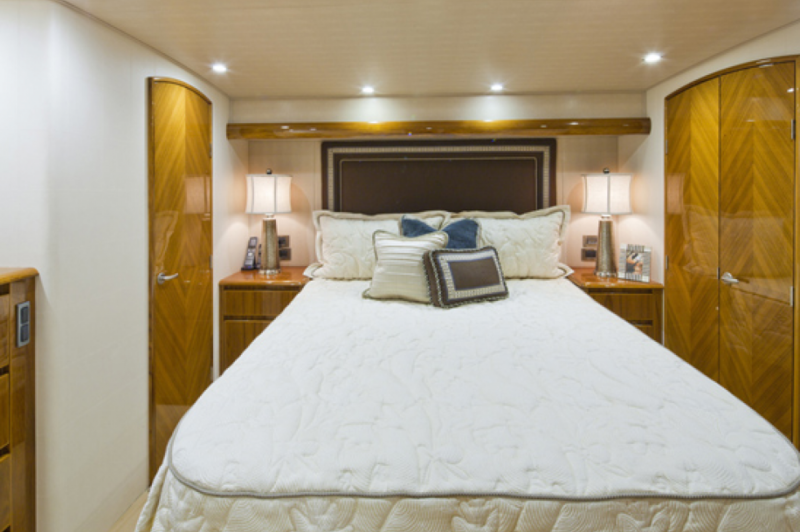 The master suite with its queen plus size berth flanked with end tables, and his and her maple-lined hanging lockers is particularly inviting. 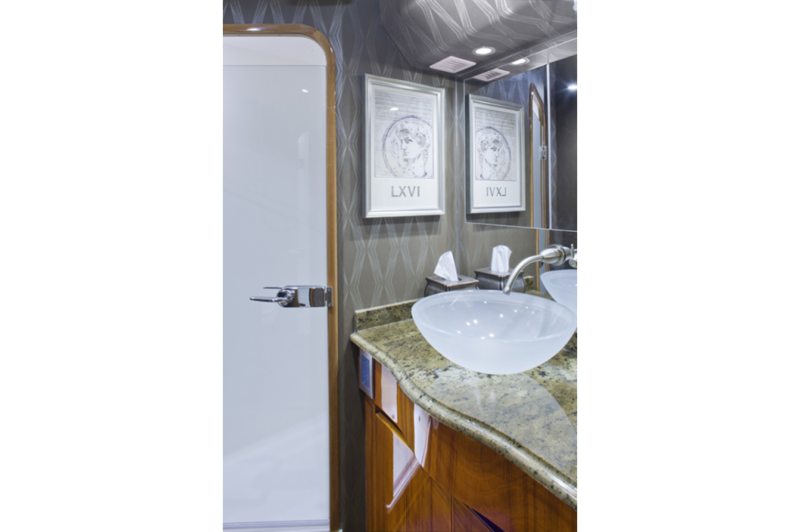 Cleverly designed crew quarters include private access to and from the engineroom. 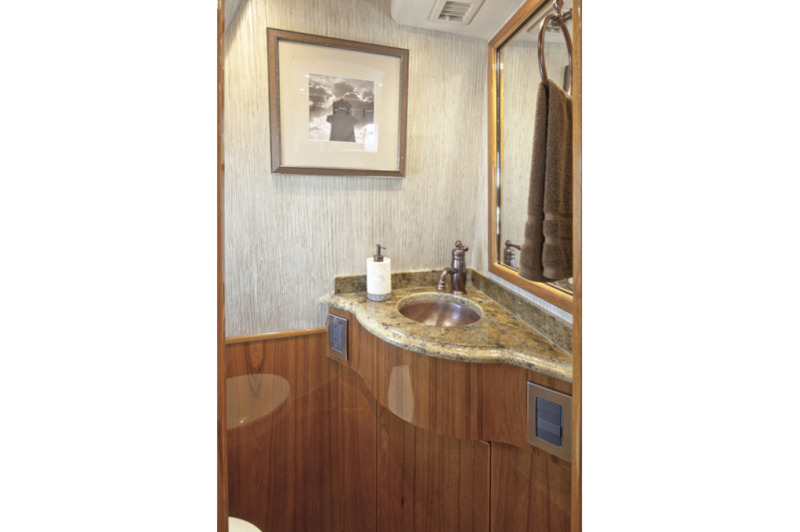 Note, too, that the offset companionway is thoughtfully designed to maximize traffic flow to the staterooms and laundry center, which includes a nearby linen closet. 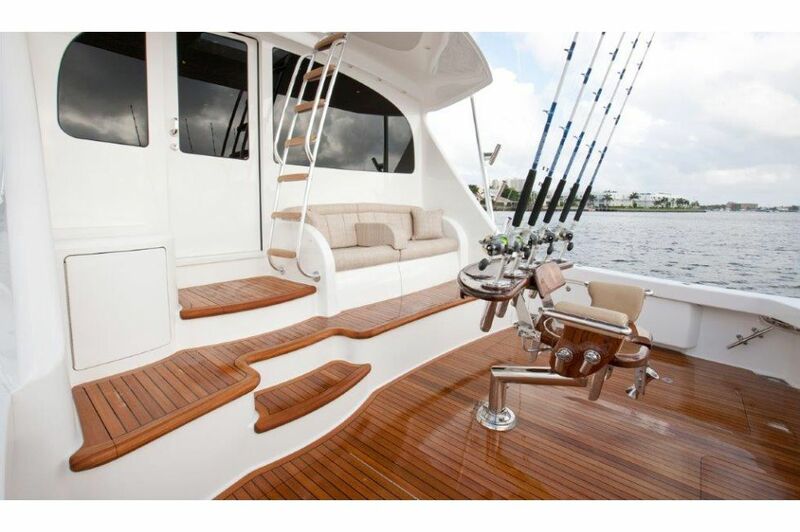 The flying bridge is a proven tournament design featuring a center console helm with electronic controls, superb visibility, plus amenities that include Murray Products teak ladder back helm seats, port, starboard, and forward lounge seating, refrigeration, and an Atlantic Marine Electronics’ navigation and communication package. 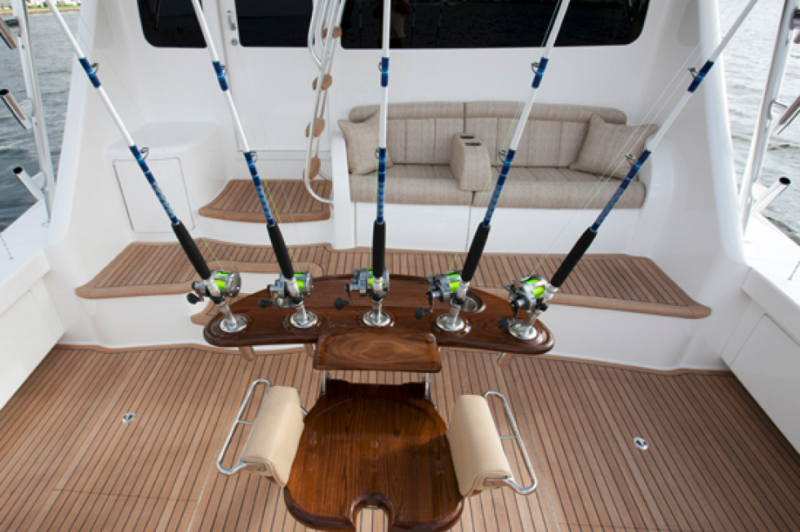 Viking’s winning ways on the tournament circuit also are incorporated in the 174 square-foot cockpit with an observation mezzanine protected from wind and spray by the flying bridge overhang, refrigeration and freezer space, tackle and gear stowage, insulated wells for fish and bait, a transom door with lift gate, rounded coamings, under gunwale stowage, and a nonslip fiberglass sole. 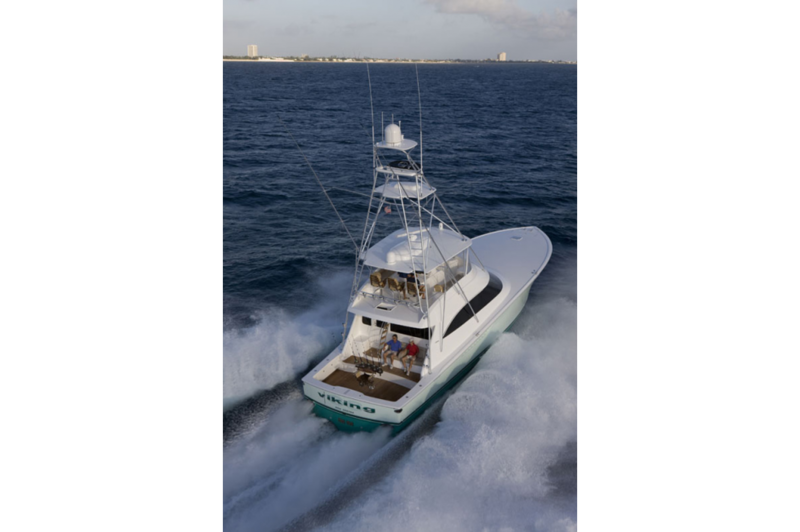 The Viking 66 Convertible also benefits from advanced engineering and construction materials that deliver better performance, increased strength and reduced weight. 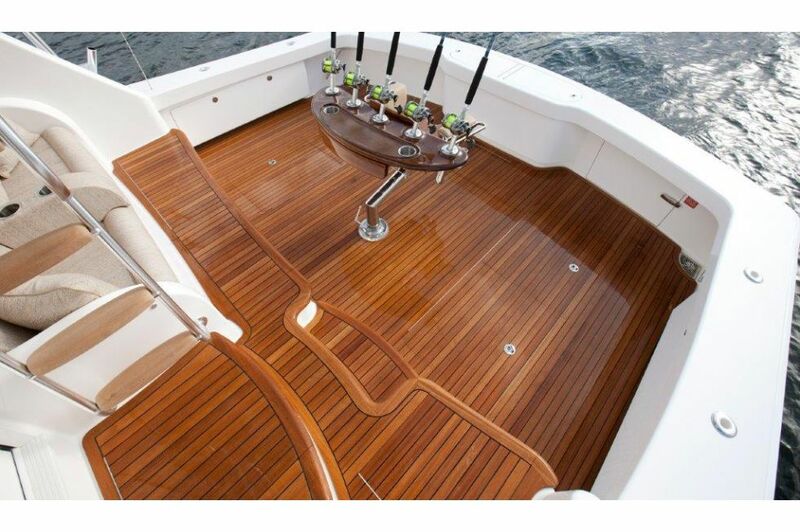 The hull bottom is vacuumed-bagged end grain balsa skinned with high-tech knitted fiberglass laminates. Composite main engineroom and forward bulkheads also are vacuumed-bagged. The molded fiberglass salon floor/engineroom ceiling is foam cored to provide thermal and acoustical insulation. 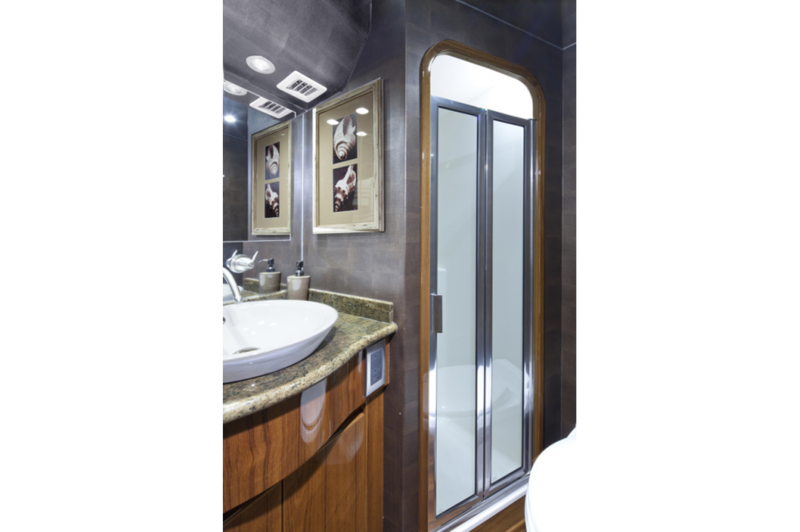 Interior teak cabinetry doors are cored for weight savings and stiffness. 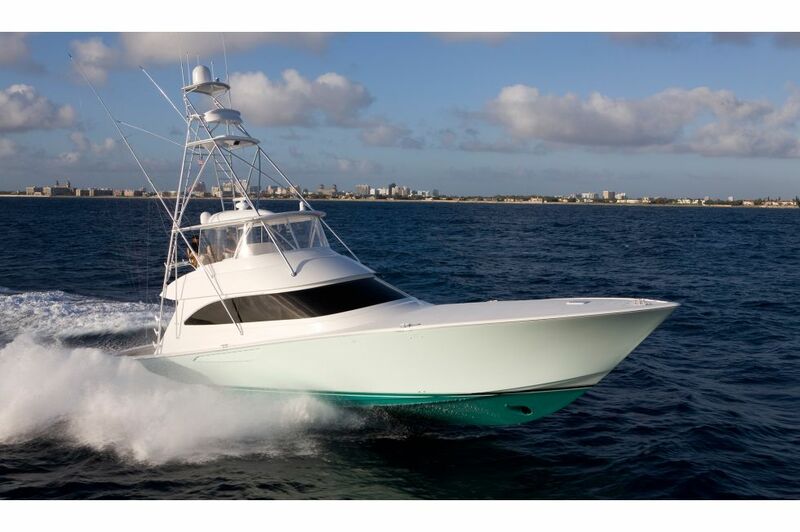 Mechanically, the Viking 66 Convertible is equipped to live large in the wild. 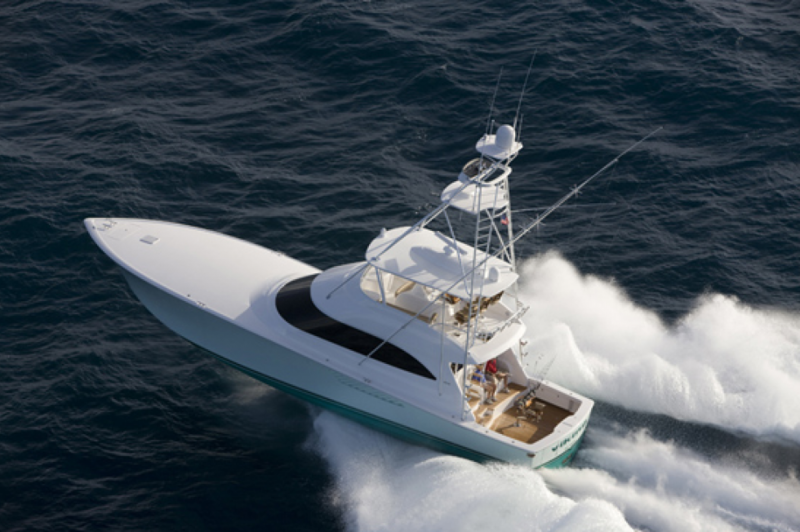 Viking’s proprietary VIPER power-assisted hydraulic steering features programmable independent rudders. 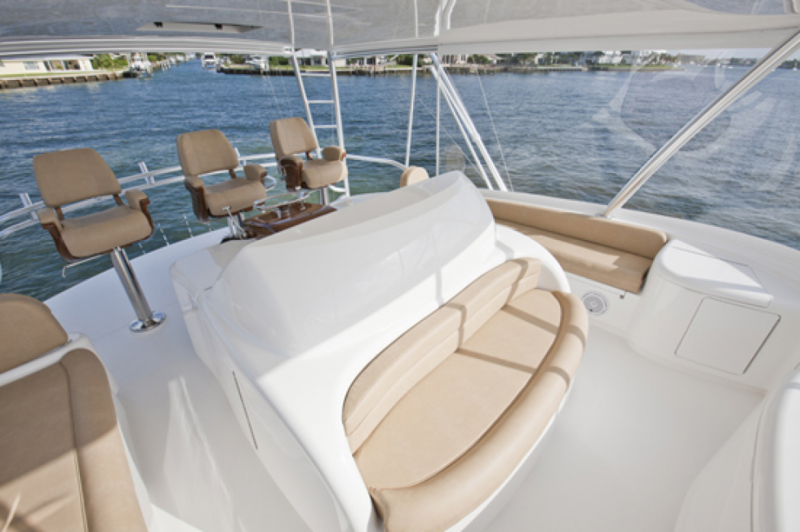 At flank speeds the 66 Convertible will turn in two boat lengths with your fingertips on the wheel. The Delta-T engineroom ventilation system uses thermostatically controlled supply and discharge fans for proper air circulation and water intrusion suppression. Pneumatically controlled air intake dampeners are integrated with the fire suppression system for added safety. 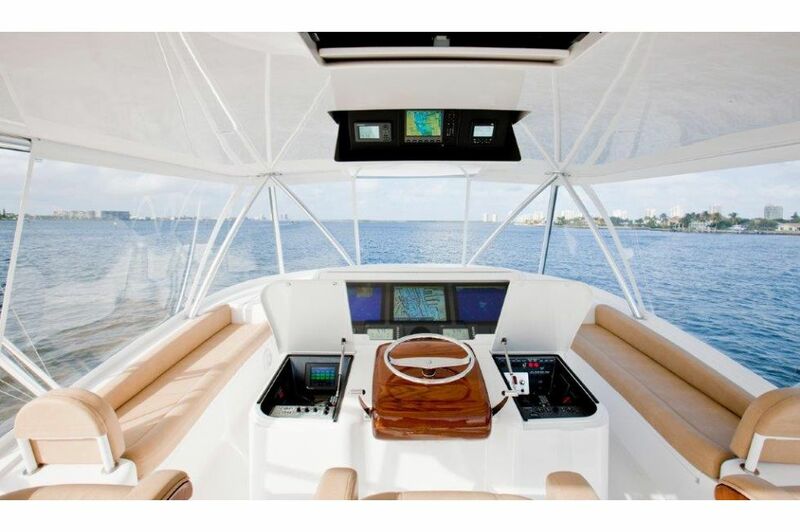 A Moritz Octoplex touch screen power distribution system controls all AC/DC requirements at the salon main panel and at the helm on the flying bridge. 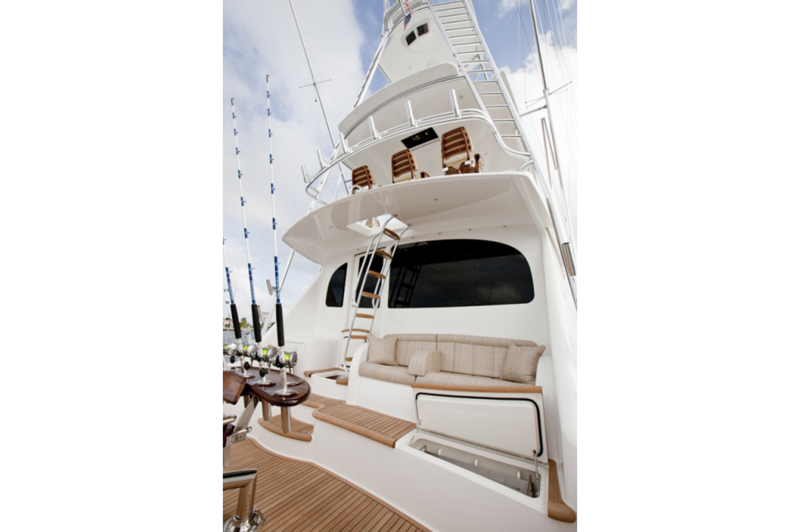 Manually operated back-up systems are conveniently located throughout the yacht. When combined with its MTU V16 Series 2000 M91 engines, the new 66 C will provide 40 plus knot performance with horsepower to spare for better efficiencies and longer range than its competitors. Standard power is MAN V12 1550 CRM diesels. 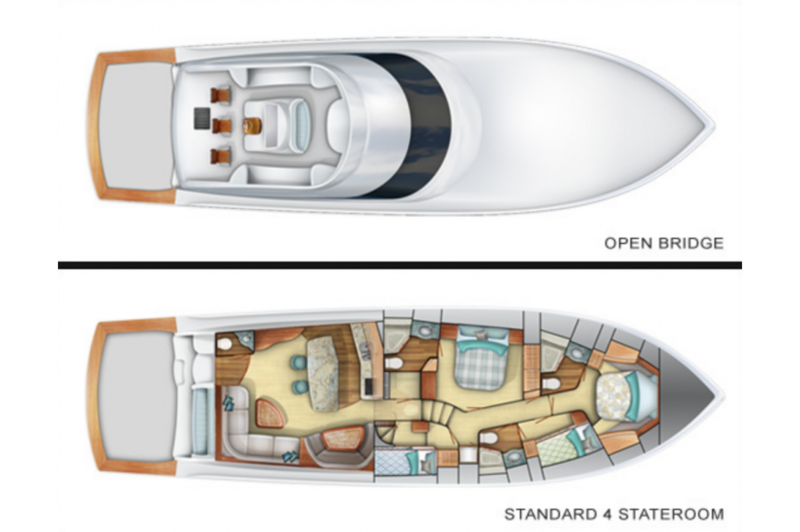 Engine packages are custom matched with S-class propellers to enhance performance and efficiencies.